Available April 2019 for ANNUAL LEASE TERM! FULLY FURNISHED! It Can't Get Better Than This! 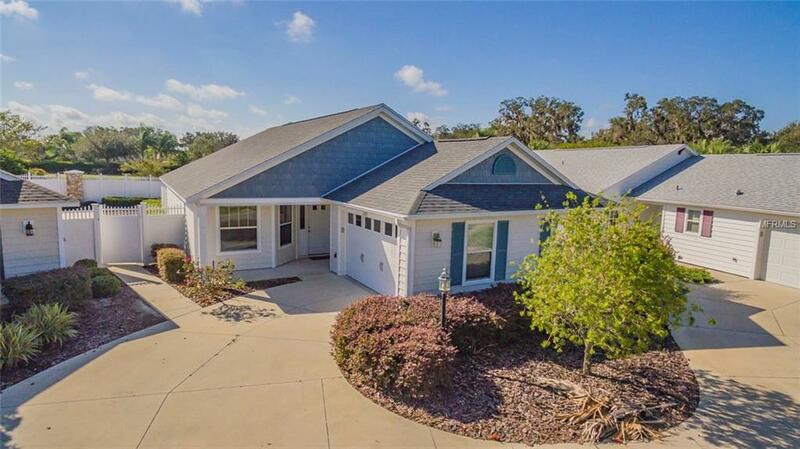 You will not be disappointed with this home's convenience of being directly in one of the "hopping" Town Squares, Lake Sumter Landing. 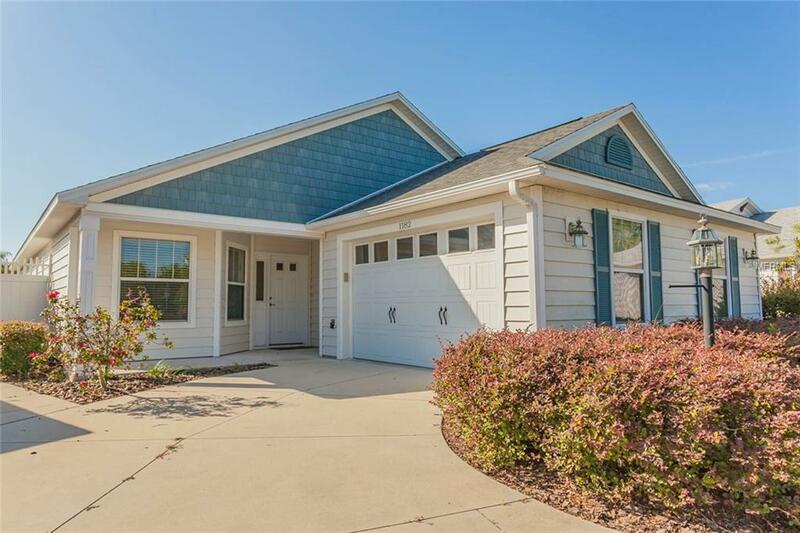 Settled in The Village of Bridgeport-Creekside Landing, this three bedroom two bath Cumberland Model Villa boasts 1692+/- square foot of living space, and is fully furnished with beautiful decor. 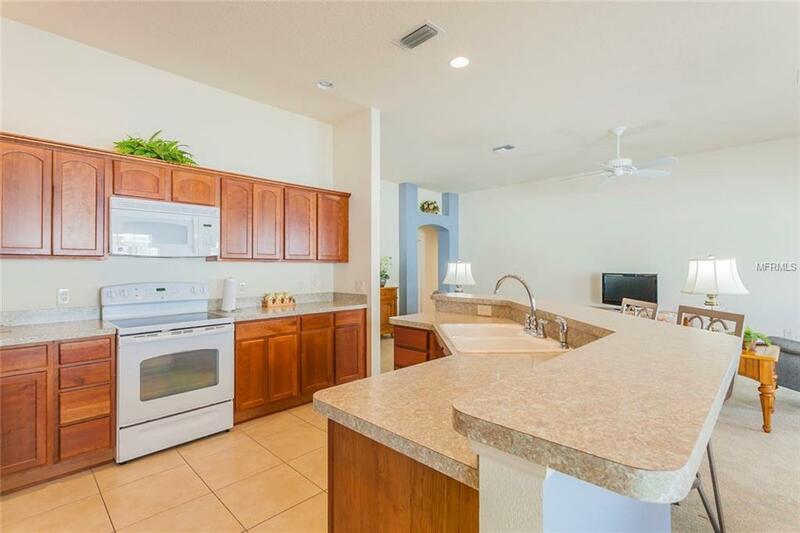 Offering a large kitchen with island that overlooks the living and dining area, this spacious floorpan has it all! Both Guest Bedrooms share the Guest Bath with tub/shower combo, while the Master Suite has a King Bed, private bath with shower, his/her sinks, a large walk-in closet, and best of all, private access to the screened in lanai. Whether you are looking to relax on the patio/deck or take a stroll to Town Square, you can't go wrong! Additional features include interior laundry room (with washer/dryer), 1-Car Garage with space for Golf Cart Parking, Covered/Screened in Lanai, Privacy wall surrounding the perimeter of the home, and we cannot forget the Location! !